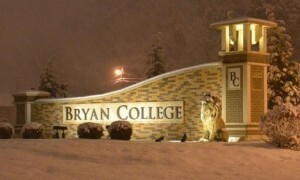 DAYTON, Tenn. – Two professors are suing Bryan College because their teaching contracts were not renewed when they refused to agree with the school’s literal interpretation of the Genesis creation account. As previously reported, Bryan College in Tennessee continues to grapple with an evolution/creation debate which has divided many students and faculty members. The controversy began earlier this year when the conservative Christian school clarified its statement of belief to affirm the literal historicity of Adam and Eve. Many professors criticized Bryan College’s president, Dr. Stephen Livesay, for pushing the statement of belief clarification. Soon after the controversy first came to light, Barnett and over two dozen other faculty members voted “no confidence” in Livesay’s leadership. Barnett knew the measure would damage the school’s reputation, but he argued that it was the right thing to do. Now, nearly three months after the college issued the statement of belief clarification, Barnett and one other professor—Dr. Steve DeGeorge, a professor of education—have filed a lawsuit against the school. According to the suit, Barnett’s and DeGeorge’s teaching contracts were not renewed because the professors refused to subscribe to the school’s literal Genesis interpretation. Barnett told school administration that he could not agree to the revised statement of belief. As a result, his teaching contract will expire today. “It also seems that right-thinking people would have considered what I said, but right-thinking people are sometimes hard to come by,” Barnett alleged. DeGeorge, who similarly refused to affirm the school’s literal interpretation of the Genesis creation account, will also be let go today. In the lawsuit, both professors maintain that Bryan College leadership has no right to change the statement of belief. However, Rosemarie Hill, an attorney representing Bryan College, argued that the professors’ claims were untrue. Hill also downplayed the significance of the lawsuit against Bryan College. In the midst of the continuing controversy, some Bryan College alumni say the school’s commitment to the biblical creation account is admirable.